Effective as of the 2005 Conservatory, AFA no longer conducts rolling admissions to the Conservatory. Acceptances and enrollment are now be done in two rounds: 1) before April 15 and 2) after April 15. Students who audition either at their schools or at AFA before April 15 will receive notification and enrollment packages at the end of April. Students auditioning in May receive notification and enrollment packages by the middle of May. All instrumental auditions are heard without piano accompaniment. Audition requirements for middle school and high school string players are the same. If you are unable to perform a live audition, please contact AFA to make alternate arrangements. 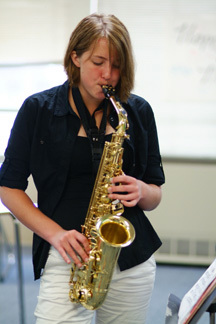 AFA visits many schools for on-site auditions in the spring. If you or your orchestra, band or choral director is interested in having auditions on your school campus, please contact AFA at (713) 522-9699.